International English Language Testing System often abbreviated as IELTS is an English proficiency test which is taken by students of those countries whose first language is not English. This test is jointly conducted and evaluated by the British Council, IDP, IELTS team Australia. The grades obtained by any person in this test is accepted by about 10,000 colleges in 125-130 counties all around the world. Its score is valid for 2 years only and the test consists of 4 sections with different time slots divided for each. The 4 sections are- Listening, Reading, Writing, Speaking. Nowadays more students are opting for the option of studying abroad. This is the reason that a large number of students appear in this test every year. 1. For the section of Listening, always make use of the example given at the very beginning of the section. This helps you to get familiar and comfortable with the sound, speaker, and his/her accent as well. 2. Also, while listening makes small notes as well. This will help you to solve the questions at the end of the section more precisely and you won’t get confused. 3. During the test are several pauses in between different sections. Use these small time intervals to prepare yourself for the upcoming section. 4. In the reading section, as you read the passage, just try to have an overview and don’t pay much attention to understanding the meaning of each word. Don’t waste too much time on a single sentence as you don’t have much time for that. 5. If in Writing section word limit is mentioned in some questions, make sure you stick to the instructions. Some students have the habit of writing illustrious answers and they overlook the word limit. But in IELTS make sure that your answers are precise and to the point. 6. While working on the writing section try to link and organize your ideas in a proper way. Try to use good words instead of the common words. This makes your answer attractive. 7. In the case of Speaking skills, try to give at least one valid point for each yes/ no type answer. Don’t elaborate much, just try to state one strong point. Don’t be a hassle. Give half a minute to think before you speak your answer. 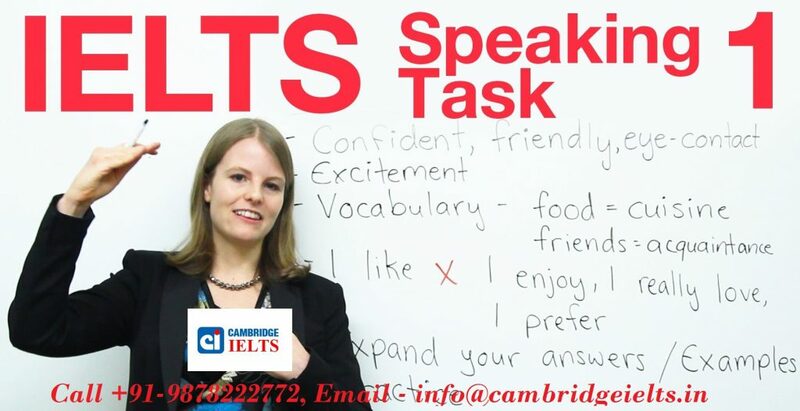 Thus, get yourself enrolled in the best IELTS coaching institute in Chandigarh, IELTS Speaking in Chandigarh by today!